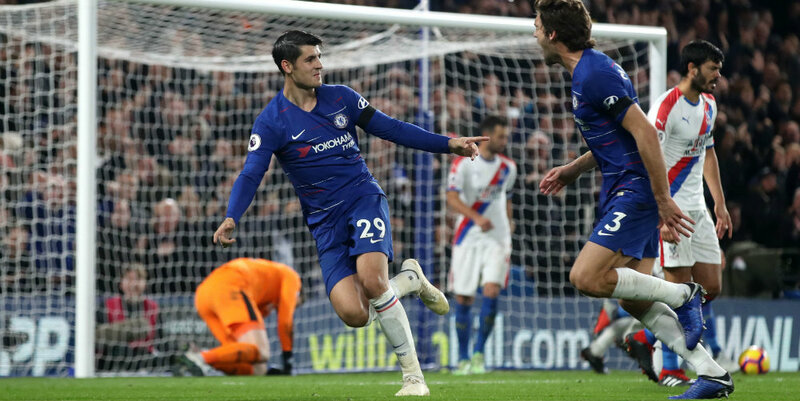 Alvaro Morata’s double took his tally to four goals in four Premier League games and helped Chelsea to victory over Crystal Palace. Here’s how we rated each Blues player in the 3-1 win at Stamford Bridge. The Spaniard came out to take a good cross from a dangerous Palace free-kick early on but that just about all that was asked of him. He had no chance with Andros Townsend’s strike. Guilty of giving the ball away too cheaply but his defensive work was as reliable as ever and he did a fine job against the pace and trickery of Wilfred Zaha. The one blot on an otherwise excellent showing was when he got sucked into following the ball for the equalising goal. Luiz’s ball-playing ability and the constant desire to instigate attacks and speed up play is too often overlooked. A typically commanding effort from the German, who adjusted to the unusual Palace tactics and used his pace to deal with the twin threat of Townsend and Zaha. His fine cross set up Pedro’s clinching goal and was a just reward for Alonso’s efforts. He barely wasted possession, never neglected his defensive duties and was always available in attack. 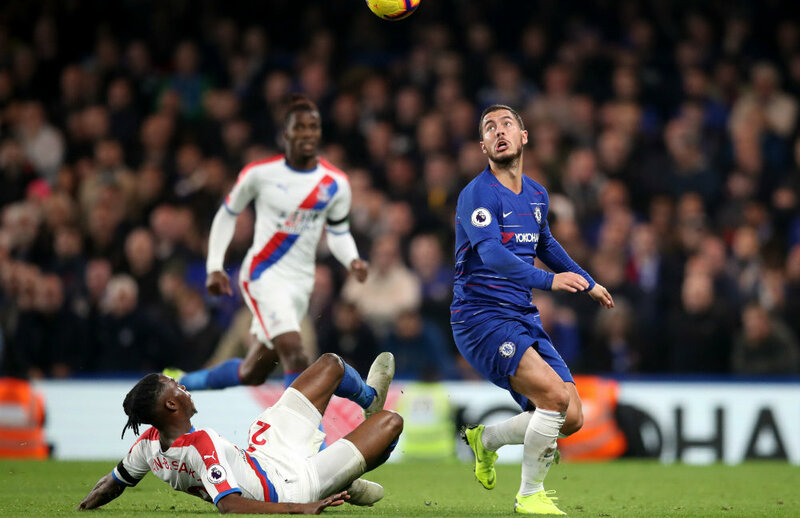 Like many of his team-mates Jorginho’s passing was a bit wayward in a below-par start to the game, but he settled and was a key figure, controlling the midfield and teeing up countless attacks as Chelsea stepped up a gear after Palace’s equaliser. Kante looked a little lost in his more advanced role until the final third of the match when he got a lot more involved at both ends of the pitch. His energy was vital as Chelsea dominated the latter stages. A quiet performance from the England man who has been outstanding in recent weeks. Barkley’s passing let him down on several occasions but his effort could not be faulted and he did some telling defensive work. Scored one and set up one and was a menacing presence throughout. 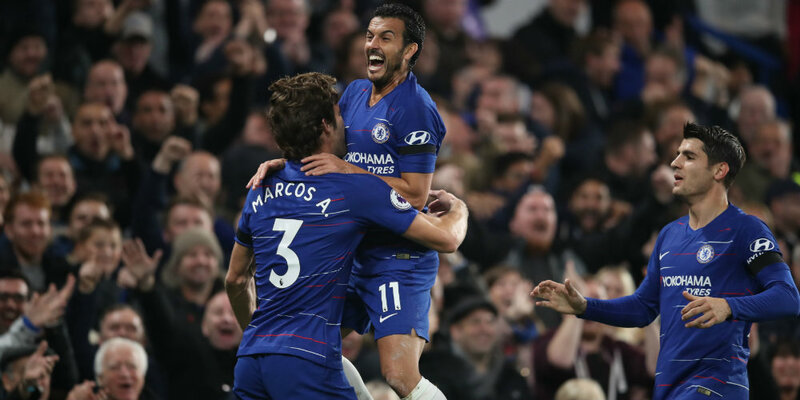 Pedro’s willingness to run from deep brought a much-needed injection of pace from an otherwise static midfield and lifted the tempo after a lacklustre first quarter of the match. Unfortunate to be taken off having impressed throughout. He had a goal ruled out for a fractional offside and looked Chelsea’s most likely creator of a goal during his time on the pitch. His best display for months, even without the goals – both of which were expertly taken. Just before his watchful opener, Morata won a corner he had no right to win and his work-rate and running off the ball was of the standard that should be the norm. He took his second goal with the confidence of an in-form striker but that confidence led to him missing a glorious late chance for his hat-trick when he tried to be too clever. The Belgian’s introduction lifted the crowd and the team. He won the free-kick, then took it to set up Morata’s second goal. Palace were often preoccupied with Hazard and his intelligent work allowed others to shine after that decisive impact. Another effortless display, Kovacic – and Hazard – made a huge difference after coming on. He retained possession but was always posing problems and looking to attack. A steady enough late cameo in the holding midfield role ensured the victory.